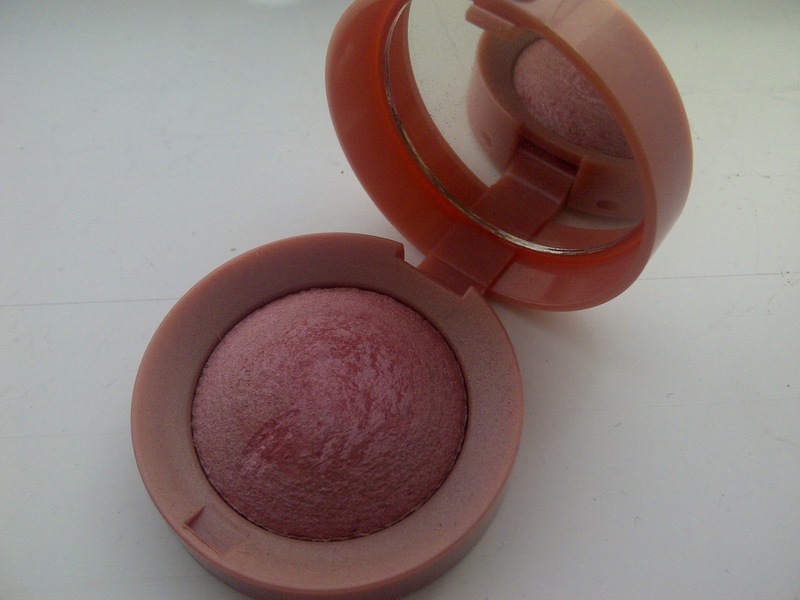 Bourjois Little Round Pot Blush in 'Rose de Jaspe'- This cute little blusher first appeared in my top ten Spring picks video but over the summer it got relegated to my back up make up bag because I developed a rather large obsession with cream blushes. However now summer and my fixation with 'the dewy look' is over powder blushes can get a look in again and I've found myself reaching for this blush on almost a daily basis as it creates the same pretty wintry rosy glow you get from being out in the cold. It's not the most pigmented blush in the world though so you do have to build this up quite a bit and I find the Ecotools blush brush perfect for doing this. 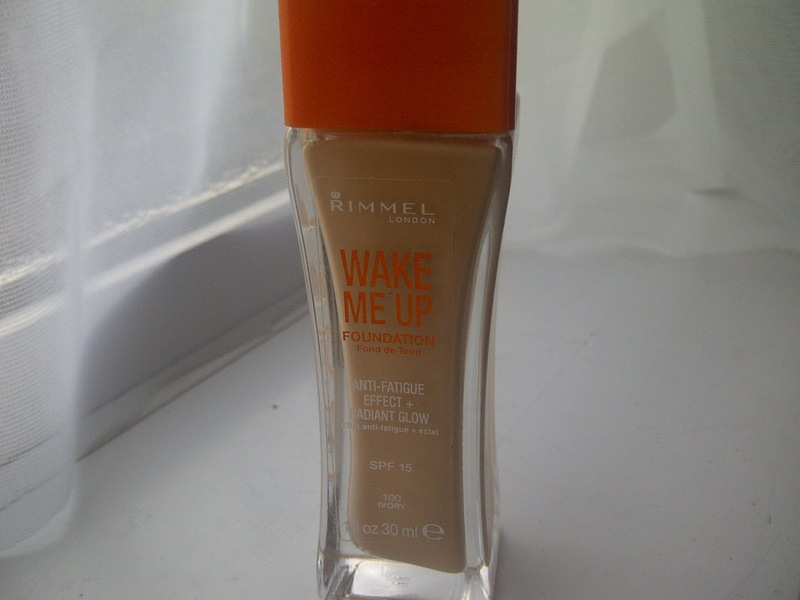 Rimmel Wake Me Up Foundation- Like most other beauty lovers I got caught up in the hype that surrounded this foundation and ran out to get my hands on it almost as soon as it was released. However, unlike most beauty lovers I really didn't get the hype the first few times I used it as I thought the light reflecting particles made it look sparkly, the consistency was too thick and it smelled like marzipan (and I really don't like marzipan) So feeling disappointed I shoved it in the back of a drawer for the rest of the summer, but even though I got this foundation for very cheap £5 in Savers I hate wasting anything so recently decided to give it another go and I now absolutely adore it! I feel like the sparkle isn't noticeable any more, perhaps because there's less bright light now and even though it's still quite thick, I find only one pump blends over my whole face and that it instantly improves the look of my skin and offers great long lasting coverage. I wouldn't use this for a night out as it contains SPF (the dreaded cause of photo ghost face! ), but it's definitely become my perfect go to daytime foundation, although paler and more yellow toned girls might struggle to find a shade match. Sleek 'Storm' Eyeshadow Palette- I bought this palette at the start of the year and thought that for only £7.99 it was really great value with twelve versatile shades and amazing pigmentation, but then my boyfriend treated me to the Urban Decay Naked 2 palette and yet again this poor palette was put in a vanity case containing make up I hardly use. You can see from the photo that most of the colours are completely untouched so by rediscovering it I feel like I've just bought a whole new set of eye shadows and realised I have room in my life for more than one shadow palette, how very generous I am...also particularly loving the berry taupey shades in the top right for Autumn and Winter. 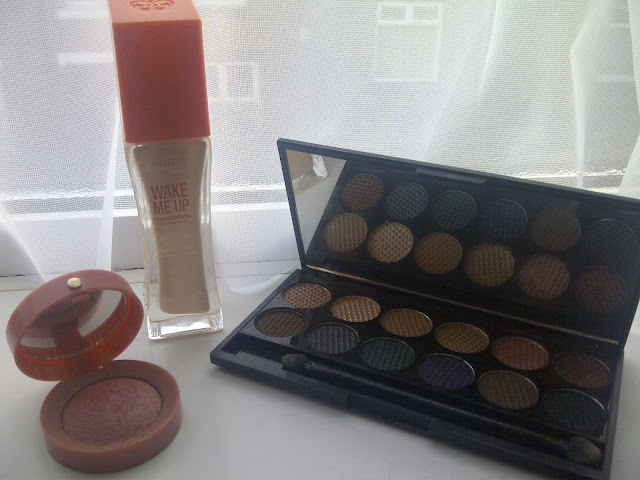 Having a MAC MAKEUP giveaway on my blog at the moment if you want to take a look? Beautiful colors in that palette! I get worried the 'Wake Me Up' foundation makes me look a bit shiny too! I have the Sleek Storm palette and I adore it, I love their palettes they are such good value for money! That blush looks yummy! I think we must have identical make up bags....and an identical dread of "photo ghost face". Love these picks for shopping the stash! I want to try that palette so badly! 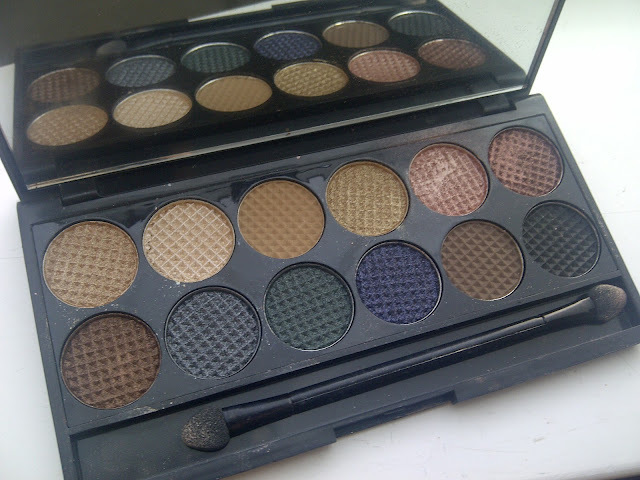 Really need some more palette's in my life, I keep eyeing up the urban decay ones! I need to try the storm palette! I really want to try the Rimmel foundation! I've been using the Wake Me Up concealer for months now and I love how it feels on my skin! I've only heard good things about Wake Me Up - definitely one that I'm going to buy after my current foundations run out. I love the Sleek Storm palette - especially the bronze colour. Bourjois make lovely blushes, but I find that the top tends to harden over time which can make it difficult to pick up product.